Each person takes a bite of food and says the first word that comes to mind. Put all the words together to make a food poem! How does someone act when they are "in love?" 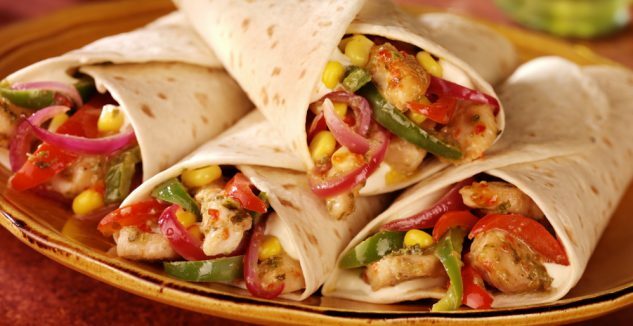 The perfect dinner for a rushed evening, these chicken tacos are packed with vegetables and take only minutes to cook. 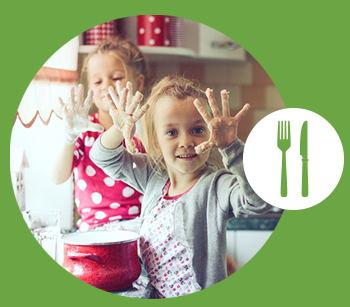 Try adding different vegetables like zucchini or tomatoes and vary your toppings for an endless parade of options. Add the chicken strips and sprinkle with salt and pepper. Cook until browned on one side, about 3 minutes. Flip the chicken over and add the onions and bell pepper strips to the pan. Cook, stirring occasionally, for another 2-3 minutes, until the vegetables begin to soften slightly. Add the corn and salsa to the pan. Stir well, cover and simmer for 5 minutes. Remove from the heat, stir in the lime juice and serve in flour tortillas, with avocado and shredded lettuce.